Keystone has been a well respected RV manufacturer throughout RV history. With top selling brands such as Cougar and Montana, it’s easy to see why. What RV buyers might not know is that Keystone also offers brands that provide their award winning quality coupled with just the right features at a lower price point that everyone can be excited about. One such brand is the Keystone RV Hideout Travel Trailer and Fifth Wheel. The Hideout offers the perfect combination of luxury, features and camping convenience- all at a price that is very reasonable. The hideout offers an enormous choice in floorplans. Whether you are looking for a bunkhouse for your family vacation or if you’re a couple looking for a unique floorplan to that will fit your camping needs perfectly, the Hideout is sure to please. Whichever model you choose, you will find plenty of interior features to ensure a comfortable camping experience. 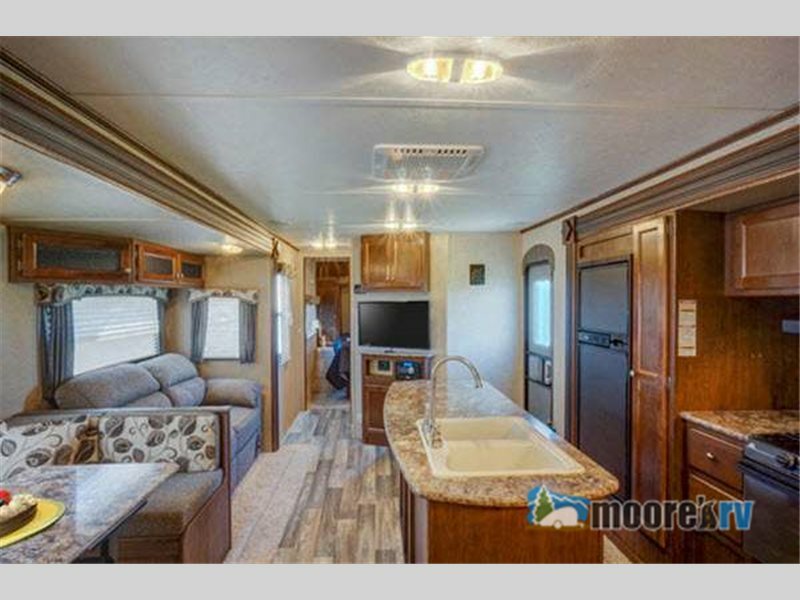 With clever additions such as reversible dinette cushions, a compact central vac system, hidden laundry chute, range with high output burner and 81″ interior height, you can see why the Hideout rises above other RVs in it’s price range. In addition, the Hideout’s quality construction allows you to truly enjoy your trip instead of worrying about your coach holding up on the road. All the right equipment at just the right price! 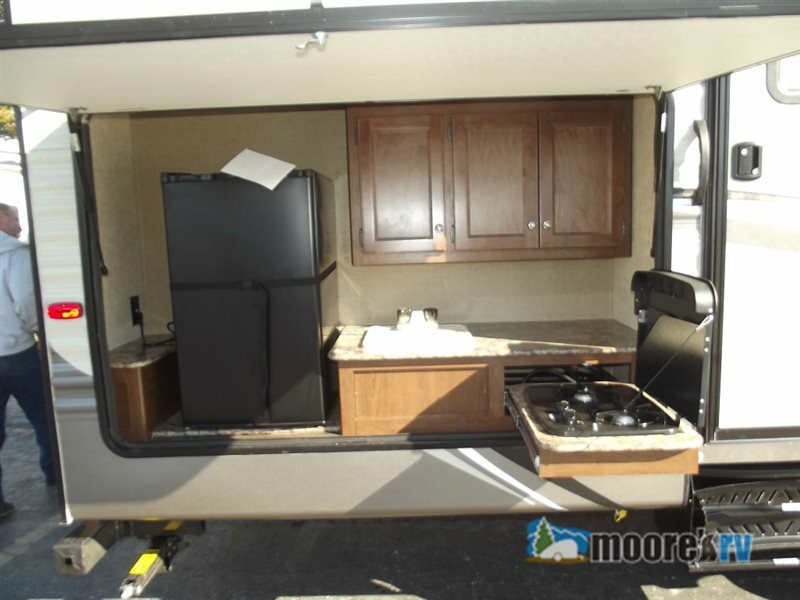 There truly is something for everyone, an outdoor kitchen, deluxe bunkhouse, kitchen island, plush swivel recliners…the list goes on! 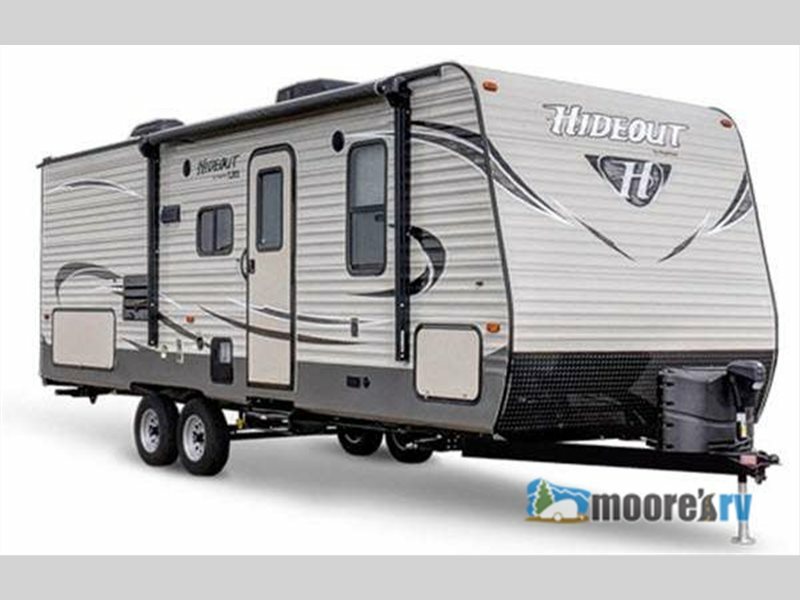 Even if you are interested in a fifth wheel design, the Hideout has you covered! Made with all the same exciting features with an equally affordable price tag, you will be sure to fall in love. 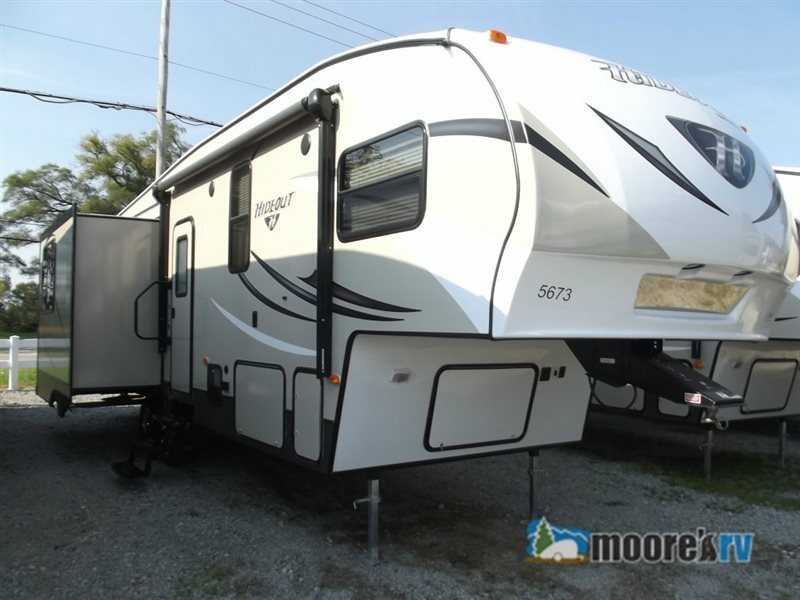 If you would like to view the Hideout in person, Contact Us at Moore’s RV. One of our knowledgeable, friendly team members will walk you through all the options available in the Hideout. We want to help make your vacation a complete success.